A Creditor’s Statutory Demand for payment of debt is a demand, in a prescribed form (referred to as a Form 509H), made under section 459E of the Corporations Act 2001 (Cth). This presents a fast inexpensive and effective method of enforcement of a judgment and other types of undisputed debts. Bring an application in the Supreme Court in an attempt to have the demand set aside. If the respondent fails to successfully address the demand, the respondent is exposed to an application by the creditor (the ‘claimant’) to the court for orders that a liquidator be appointed to the respondent company and be wound up. As with the Anti-Suit Provisions, if the statutory demand is not disputed in the prescribed time and in the prescribed manner, the respondent is generally forbidden from raising its defences to the debt in the court action that can follow. It was assumed initially that the Anti-Suit Provisions of the Building and Construction Industry Security of Payment Act 1999 (NSW) (“The Act”), would confine parties’ disputes to the processes under the Act, rather than traditional court proceedings, with the respondent forbidden from raising matters that should have been raised in a payment schedule, or which were raised, but not decided by an adjudicator in the respondent’s favour. The Corporations Act, however, makes limited provision for applications by the company to apply to have statutory demands set aside. There are two common grounds for such applications, which are that the debt upon which the demand is based is disputed and the respondent has an offsetting claim (see s 459H of the Corporations Act). 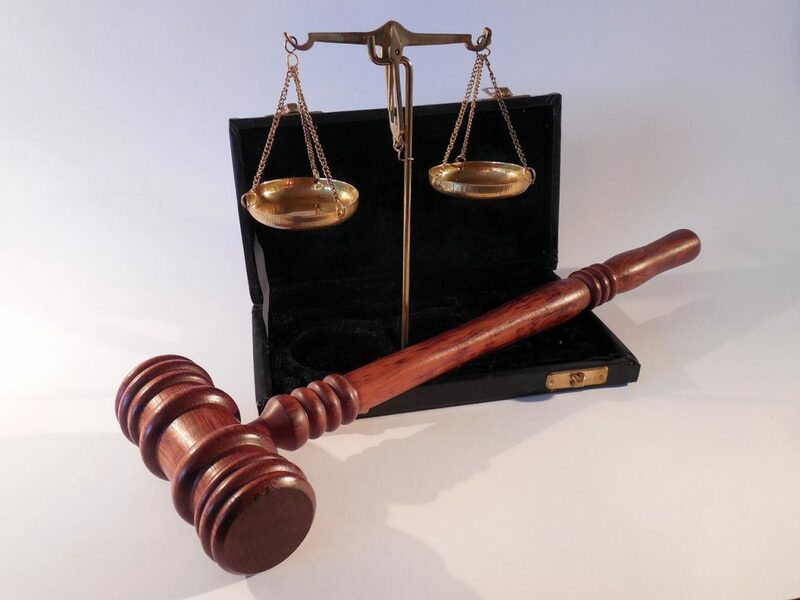 The Anti-Suit Provisions of the Act suggested that the respondent should not be entitled to rely on either of those grounds, but the courts have found differently. This case related to work on a bakery. Graf had obtained judgment on an adjudication determination in the amount of $27,564.58, including interest and costs. Demir asserted an offsetting claim. Campbell J found an offsetting claim that was not frivolous or vexatious (the applicable test in this instance), but in respect of part of the claim, there was no evidence as to how it was made up. Accordingly, the offsetting claim fell short of the judgment debt by almost $10,000 and the statutory demand was reduced to that amount, as opposed to being set aside. Whilst the statutory demand enforcement method is available, the amount recoverable through the demand may be discounted by the value of offsetting claims where they are not frivolous or vexatious and evidence can be adduced on how the offsetting claim is calculated. This was a security of payment based judgment debt for $97,000. CBC sought to enforce the judgment debt by way of statutory demand. Greenaways counter offered with an offsetting claim (for the purpose of s 459H(1)(b) Corporations Act) on the basis that it had been overcharged in fifteen (15) prior invoices to the value of $102,500. CBC asserted the offsetting claim was not genuine and that it had been referred to in the adjudication and had been dismissed. Barret J found that the determination was not a determination of legal liability and was a matter of contract between the parties. The court, however, agreed with Campbell J in Demir v Graf in that the Commonwealth Law prevailed over the states and as the offsetting claim was for more than the statutory demand, the demand was set aside. This court’s reasoning follows the view that the Act is set up as a “pay as you go” system, but winding up action, if successful, is a final act against a debtor company. It follows that this type of action in court proceedings defeats the purpose of the interim nature of the Act. This was another case where the statutory demand was set aside. Aldoga sought to have the statutory demand set aside on the basis that the contract between the parties did not authorise De Silvia to undertake the work that was the subject of the payment claim. The ground for setting aside the demand was a dispute on whether the debt had been contracted in the first place in contradistinction to an offsetting claim. Palmer J followed the principles in Demir and Greenaways where they applied in this context. The dispute as to the existence of the contract went to the entire demand. Statutory demands are not useless as an enforcement tool for debts and adjudicated amounts under the Act. If the respondent can show a genuine dispute about the existence or the amount of the debt demanded or, more frequently, offsetting claims that it can quantify, the Anti-Suit Provisions in the Act can be subverted. Even though the hurdle is not a high one, various cases have provided guidance on when a respondent can fail to satisfy the court that the statutory demand should be set aside: Pacific Islands Express Pty Limited v Empire Building Developments Pty Limited  NSWSC 576; Diddy Boy v Design  NSWSC 14. “ Having regard to the provisions for restitution in the Act, it seems to me doubtful that a judgment which comes about because of the statutory regime in the Act in circumstances where a defendant cannot raise a defence or any cross‑claim which might nullify it as a final judgment creating a res judicata between the parties so as to preclude a genuine dispute in relation to the judgment debt for the purposes of section 459H [Corporations Act] (as opposed to not precluding the raising of an offsetting claim). It is not necessary to decide that question now because, in my view, the present circumstances are ‘some other reason why the demand should be set aside’ within the provisions of s459J(1)(b) of the Corporation Act 2001. However, in Austin Corp Pty Ltd v Blanford  NSWSC 964, White J had occasion to consider that where ‘an application has been made to have a judgment set aside and where there are serious grounds for such an application, this may constitute “some other reason” why the demand should be set aside under s 459J(1)(b) of the Corporations Act 2011 (Cth)’. “ Not infrequently when orders are made on that basis under s 459J(1)(b), the order setting aside the demand is made subject to conditions including that the judgment debt sought to be disputed be paid into Court. “ ……Even on the plaintiff’s case, it owed and owes Mr Blanford $18,500 which has not been paid. It is improbable in the extreme that the Court would only have varied the demand by substituting that sum for the amount claimed in the demand, without also making it a condition of its order that the balance of the debt of $32,388.78 be paid into Court. An order for payment of that sum into Court was made as a condition of setting aside the default judgment. In my view the plaintiff ought to have paid at least $18,500 and ought to have offered at least to pay the balance of the sum of $32,788.70 into Court from the outset. In not doing so, the plaintiff has put the defendant to what I consider to be unnecessary expense in defending the application. In my view the proper order is that the plaintiff pay the defendant’s costs of the proceedings. Austin demonstrated that in certain circumstances the respondent might be required to pay the judgment debt into court as part of an order setting aside the statutory demand. The Corporations Act almost strips the Anti-Suit Provisions of the Act bare. The implementation of the Act’s pay as you go philosophy can easily be undermined where the respondent can demonstrate the disputed debt or offsetting claim. Where there is the most doubtful of circumstances and if the respondent cannot even establish that, the danger is that the court may be liable to identify ‘some other reason why the demand should be set aside’. For further information pertaining to statutory demands specifically and the application of the Corporations Act more broadly, contact the experienced team at Rockliffs Lawyers today.